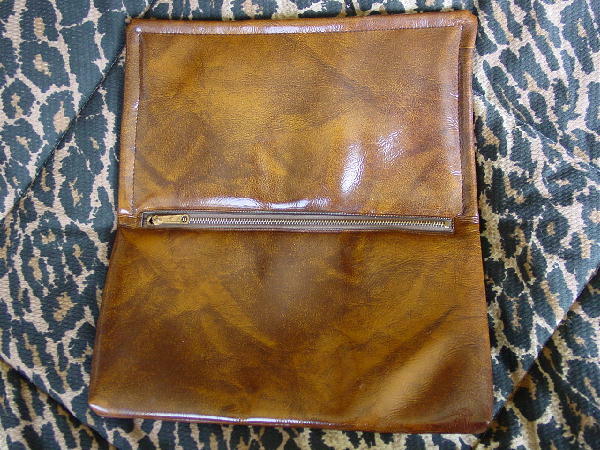 This vintage vinyl clutch has a full front flap. When opened, there is a 10" side to side center zipper. There is a brown plastic lining, and the purse has full storage on both sides. The front flap has a pattern of geometric shapes in red, dark brown (with touches of black), medium brown, camel, black, and navy blue. 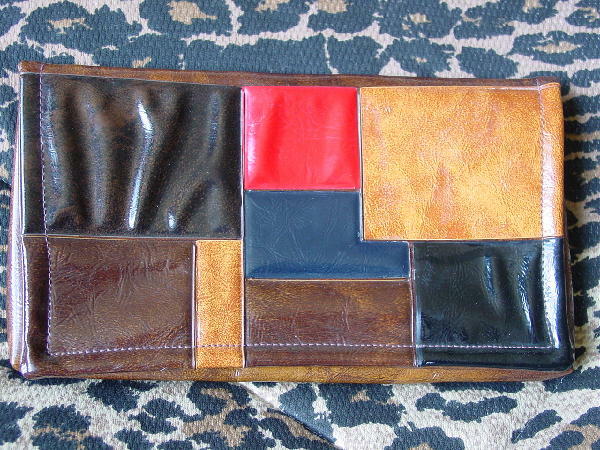 The rest of the purse is in a two-tone honey-caramel with brown shading.